Please contact owner Justin at 401-265-one five five nine. Tower is located in Rhode Island. 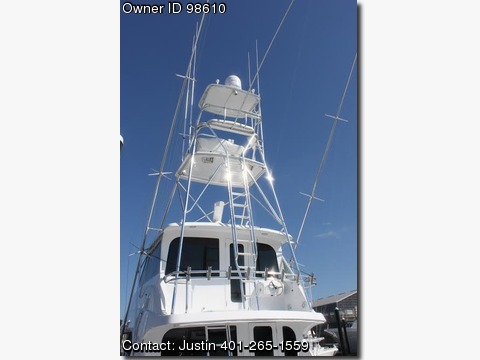 Aluminum pipe sport fishing tower removed from 2005 60&#39; enclosed bridge Hatteras. It is in excellent to almost new condition and includes control box, steering pump and wheel, sun shade, (3) stainless quartz lights, center rigger, cushioned bell band and compass. Can be retrofitted to boat of similar size. Easily installs on same generation EB Hatteras. Call 401-265-1559 with any questions. Rough Dimensions. 19&#39;8&quot; high, 10&#39;6&quot; wide and 17&#39; long where it mounts to the brow and bridge mezzanine.